Should I use basic or advanced rules and why? When I reading game rules I sometimes stumble on different rules variations, many times titled as basic and advanced rules, and I'm always finding it hard to evaluate should I use them or not. Please add games with official variants on official rules and if you have opinion on whether or not to use them. This game has basic and advanced rules and they are quite different to each other. I have played the basic game a lot and tried the advanced game once. In my opinion the game is better with basic rules. Advanced rules add complexity and if I remember correctly game length too. Advanced rules add bidding and special tiles to the game, and both take money to get so money becomes more important tilting the balance. The basic game on the other hand is very streamlined fun little game. The official advanced rule is that you get to choose your starting hand. This is too a game where I dislike this advanced variant, but I can understand if someone disagrees. I like some luck aspect in my game and even with the basic rules Samurai is clearly a skill game. There is no need to downgrade the luck aspect. 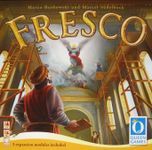 Basic Fresco comes with three different "expansions". This time I would recommend using the expansions right from the first game. The basic rules are not very complicated and the expansions don't add that much complexity. The game play on the other hand is much more interesting with expansions. The game comes with 3 variants. All are available as play options on Yucata (http://yucata.de/. I like variation 1 (Yucata calls this "Advanced"), but not variation 2 (called "Professional"). I think it's too easy in #2 to run out of money and not be able to do much. The Atoll variant is OK, though I don't play that as much. When a player puts his first tile on his board, he must place his ship on this tile. When he places tiles on his board In subsequest turns, he must place the tiles horizontally, perpendicularly, or diagonally adjacent to the tile where his ship stands. As in the basic, a player may place a tile in his storage (if this is not yet occupied) or remove a tile from his board instead of placing a tile on his board. After placing a tile, the player can move his ship to any tile on his board. He can also leave his ship where it stands. He may, however, never place his ship on an empty water space. The player may also move his ship, when he puts a tile in his storage or removes a tile from his board. Variation 2 offers an additional requirements to variation 1. The player must always place his ship on a tile he places on his board. He may not move his ship, if he puts a tile into his storage, removes a tile from his board, or does nothing. He may not remove the tile his ship stands on from his board. The back side of the player boards shows an atol in the center of the board. The players can choose to play on the back sides for variety. The scoring changes as follows: all islands, which are situated completely within the atols, double their palm values. Family version: Only if you have too. Choose between "Base Game" and "Standard Game". As the rules state, "If you're a new player or want a shorter game, start with the former." Though there are hobby gamers who still prefer the former. Hard for me to imagine the Initiation Mode offering much of a challenge. 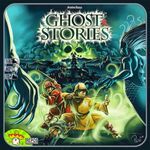 But then it's been a long time since I was inexperienced at Ghost Stories. Don't bother with basic rules. Very imbalanced. I don't have 2nd ed. experience, so perhaps it's been fixed. This one offers a nice choice with either option. The basic game uses area movement, which definitely simplifies the game. It also speeds up the ability to come to grips with your enemies. attacker often having to set out into an exposed position. There are also optional rules which can be used with either version. the addition of The Duel to Dune) which, if lost, cost you the game. become targets in and of themselves. The rules strongly suggest playing at least twice with the basic rules before opening the advanced envelope. Once you've moved on, you won't go back though. 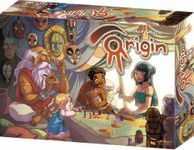 With the full rules, Origin is a light to light-medium 45 minute game that is fine for families. The Junior rules really are probably only needed for teaching 8 year olds the game. 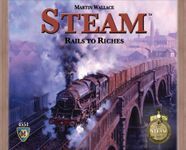 This was originally split between the "Basic" game and the "Expanded" game, and the most recent expansion adds a third "Colonization" level. You get the full Basic Game in the base game's box, and it's essential to play it that way several times when first starting out. Once you fully understand how everything in the game ties together it's not that difficult to play, but there's so much going on at once and so many things that are tied together that 9 times out of 10 anyone trying to jump straight into the expanded game will be completely overwhelmed. Just getting the basic game sorted out can be too much for some. Only once you've mastered the Expanded Game should you move up to the full Colonization experience, but even that is modular so you can take it in smaller steps. Collectively it's one of the most incredible games ever made, but getting there is a journey.